Engine Australia is arguably the nation’s leading after-market engine parts supplier specialising in diesel parts. Founded by the late Lindsay Sturgess in 1978, the company emerged from the engine reconditioning business that he established in Dalby, Queensland in 1958. Still owned and managed by the Sturgess family, the head office continues to be situated in Dalby, with warehouse branches in Brisbane, Melbourne and Perth. The company boasts hundreds of year’s collective employee industry experience, with almost half the staff being in excess of 10 years long-term employment with Engine Australia. Combining staff knowledge and experience with the most extensive and up-to-date electronic catalogues means that customers have access to one of the most comprehensive technical resources in the diesel engine parts industry. Engine Australia currently represents many of the world’s leading manufacturers of diesel engine parts. Customers can be confident that components supplied by Engine Australia meet, and in many cases exceed, O.E. specifications. We have traded uninterrupted with some of our suppliers for over 30 years, and are constantly seeking manufacturer’s globally that produce quality diesel engine parts. With a dedicated Research and Development team, state-of-the-art diagnostic equipment and specialised technical knowledge, any new manufacturer’s products are rigorously scrutinised for quality. This commitment to excellence is reflected in the reputation Engine Australia has gained while supplying a large range of quality diesel engine components for Japanese, American, British and European motors. Our quality of product is only surpassed by our commitment to providing quality service. 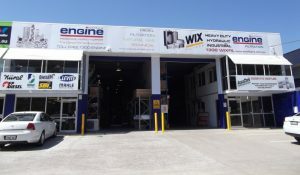 Well trained staff, a fully computerised system, comprehensive freight services, and a generous warranty are typical support services offered to customers when purchasing their diesel parts from Engine Australia.